The second game was so tense that "gjopok" forgot to bet anymore. The most plausible reason is that he focused trying to win real money in the tournament, because it is a substantial difference between the first prize ( around 50000 USD) and the second prize (10000 USD). 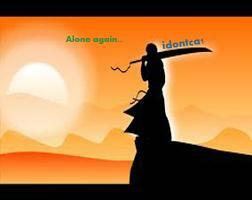 As for "idontca1", he had nothing to bet, as he lost almost all his T-points and he was bankrupt at this chapter. Just for amusement, I mention that "idontca1" has a beginner rank at betting, while "gjopok" is a 3D. 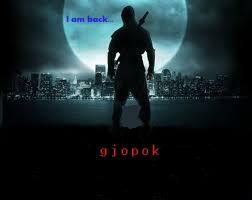 The good news, for "gjopok" and for everybody, is that we'll have a full match of 3 games. This is bad news for "idontca1" and for me. I changed the internet provider and today is the last working day for the old provider. The new one had to start on 1st of July, but it did not. To my despair, they say I have to wait some more days. I'll have to find a solution, at least for tomorrow, to see the last game of the tournament. So let's talk about a 60000 USD match between a 3D and a beginner! Well, not quite, as the 3D could be the best player in the world and the beginner somewhere in top 10 (third position last year). "gjopok" had to be aggressive and did it brilliantly. In my view, the crucial moment of the second game was the black move 101 at K2 ! White didn't have time to place another stone in that area at the bottom of the board before and he seemed to fill the full shock of that beautiful attacking move. The sequence starting with black 67 which ends with move 95 in sente is very impressive.